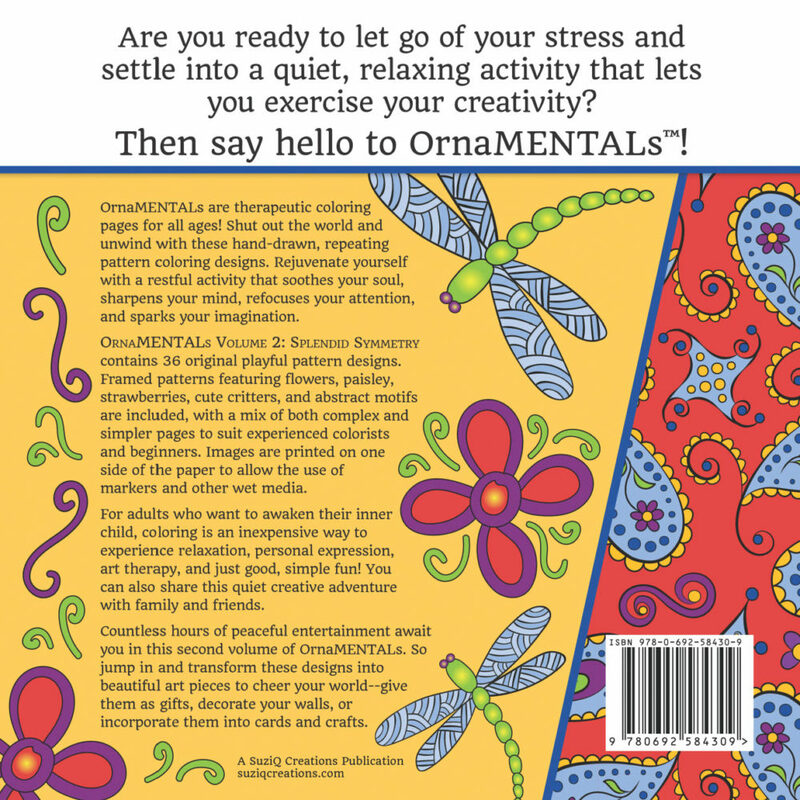 Are you ready to let go of MORE stress and settle into a quiet and relaxing activity that lets you exercise your creativity? 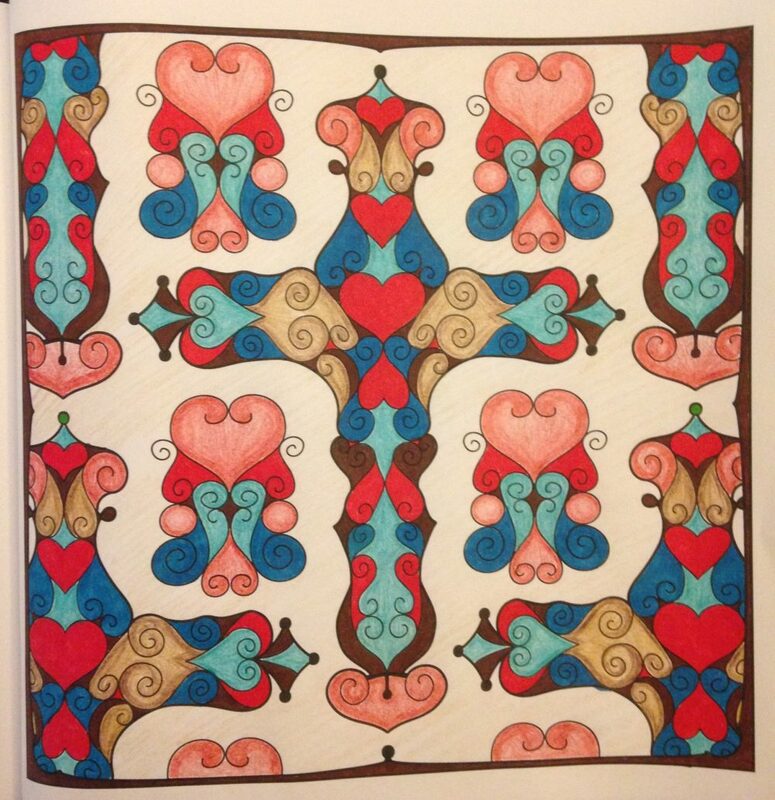 Then say hello to OrnaMENTALs Splendid Symmetry! 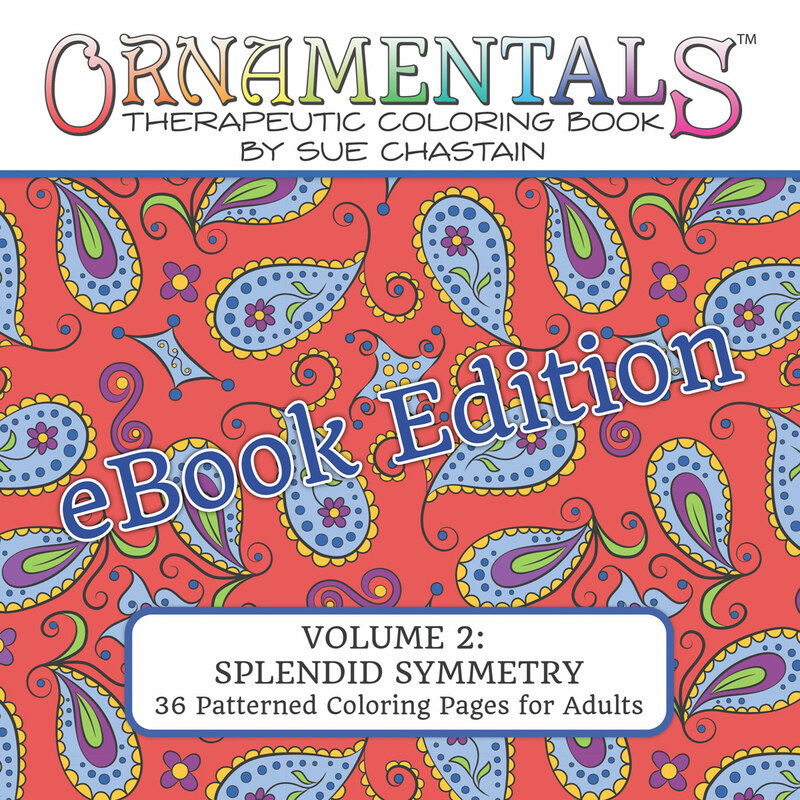 PDF eBook Edition Also Available! 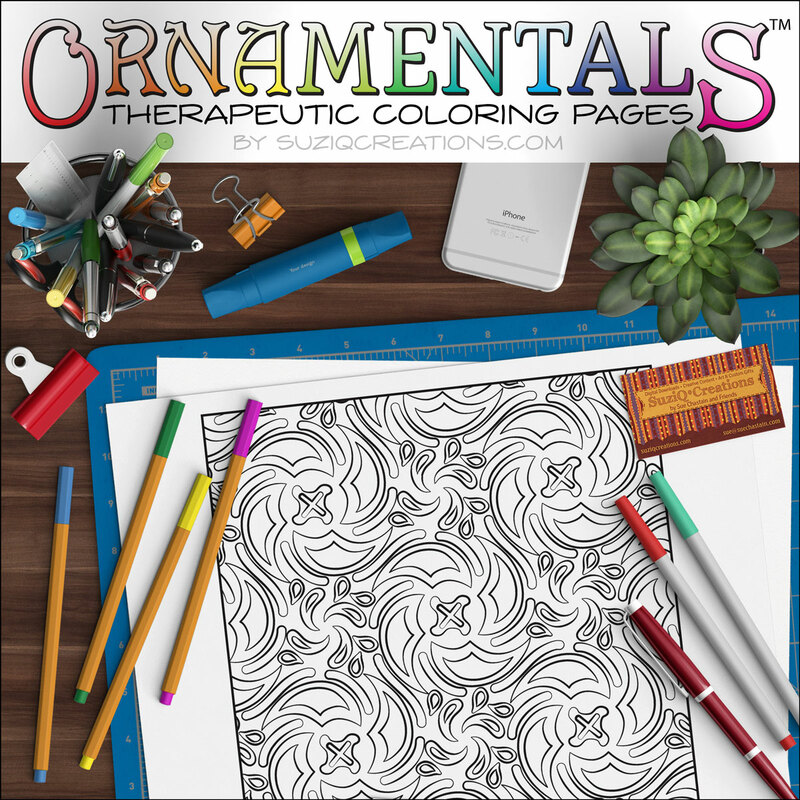 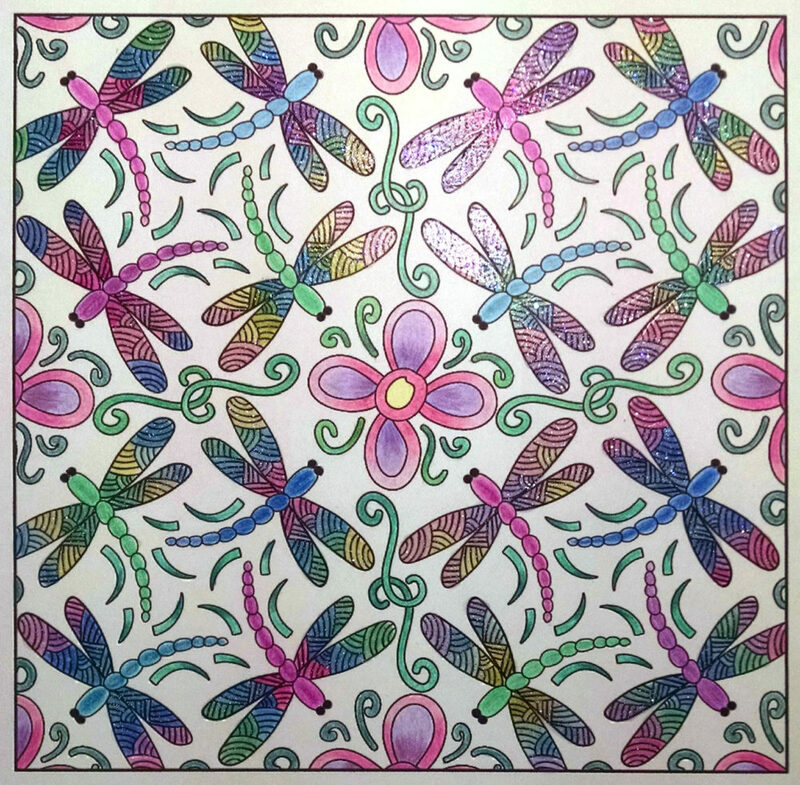 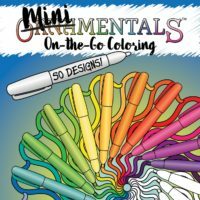 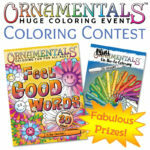 OrnaMENTALs™ are therapeutic coloring pages for all ages! 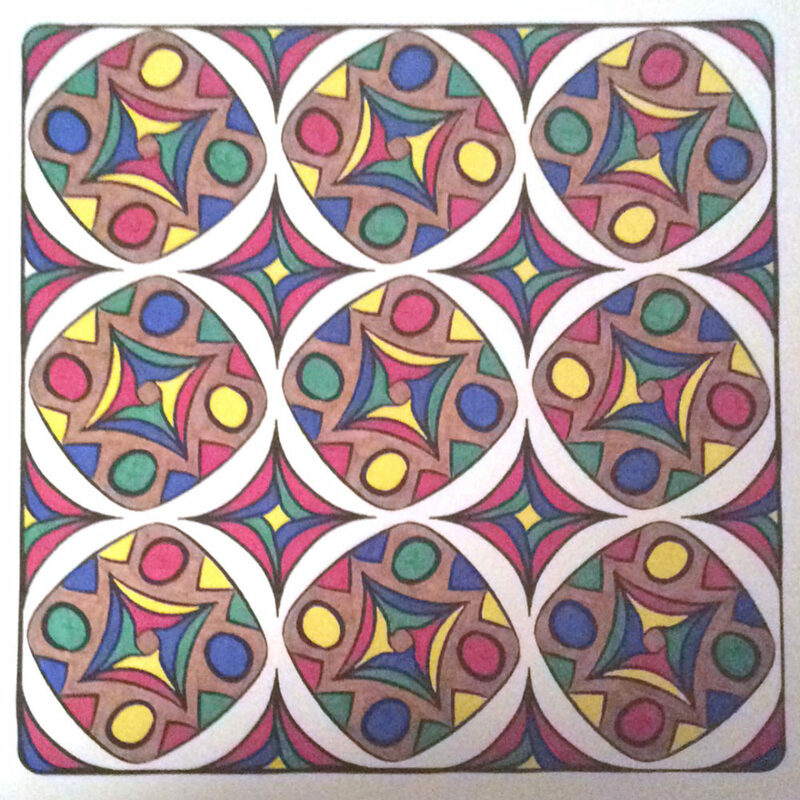 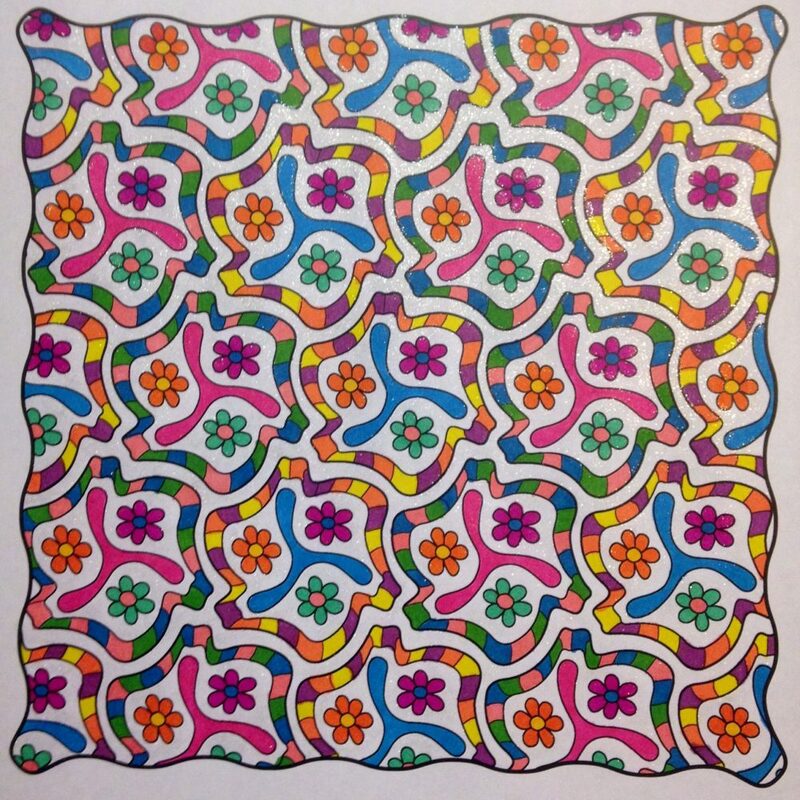 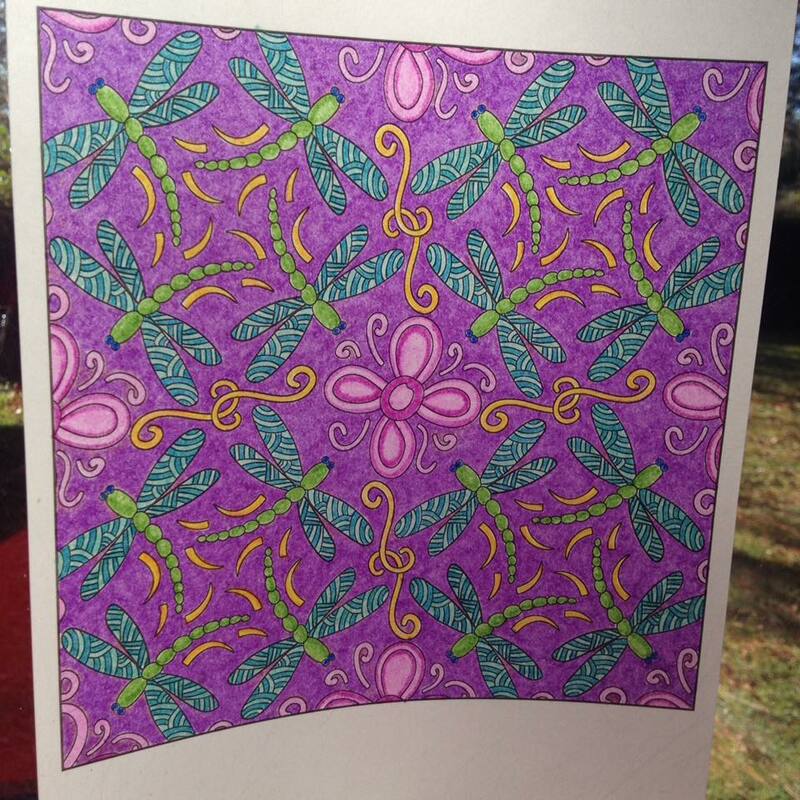 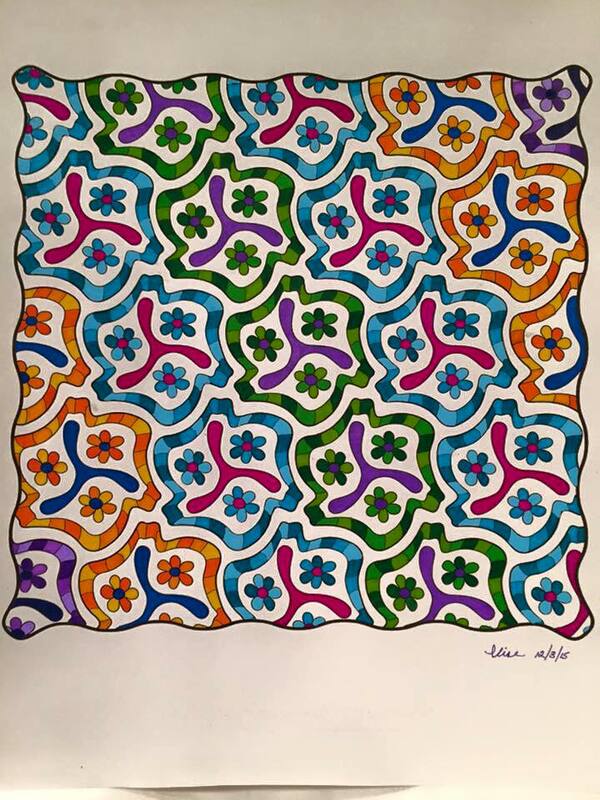 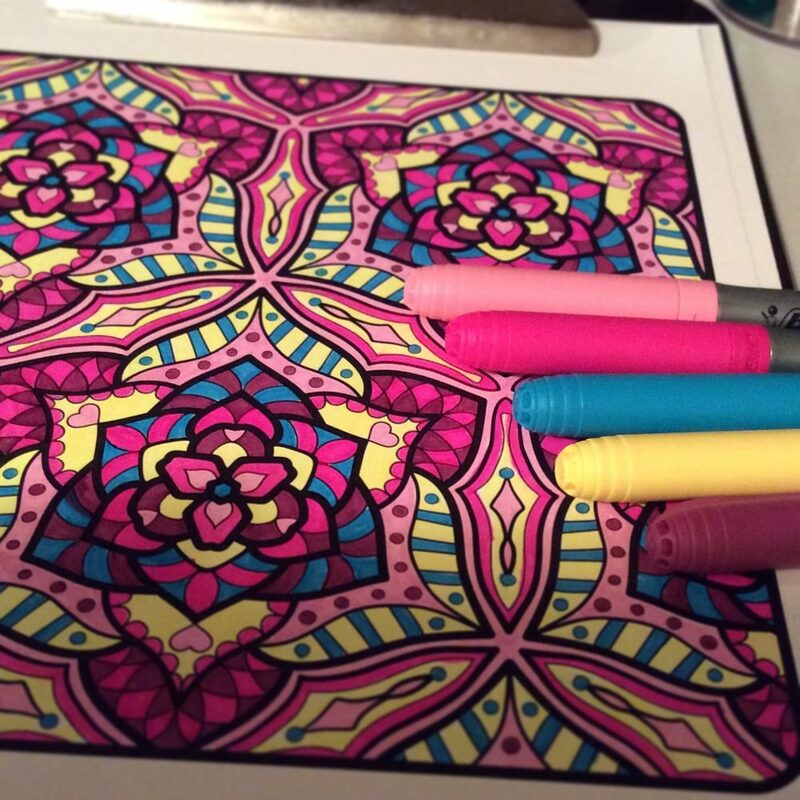 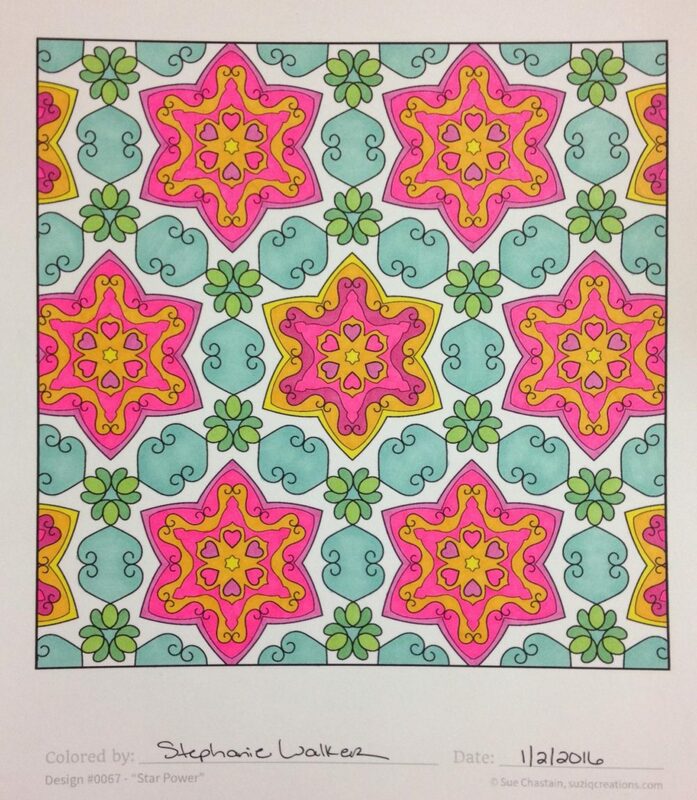 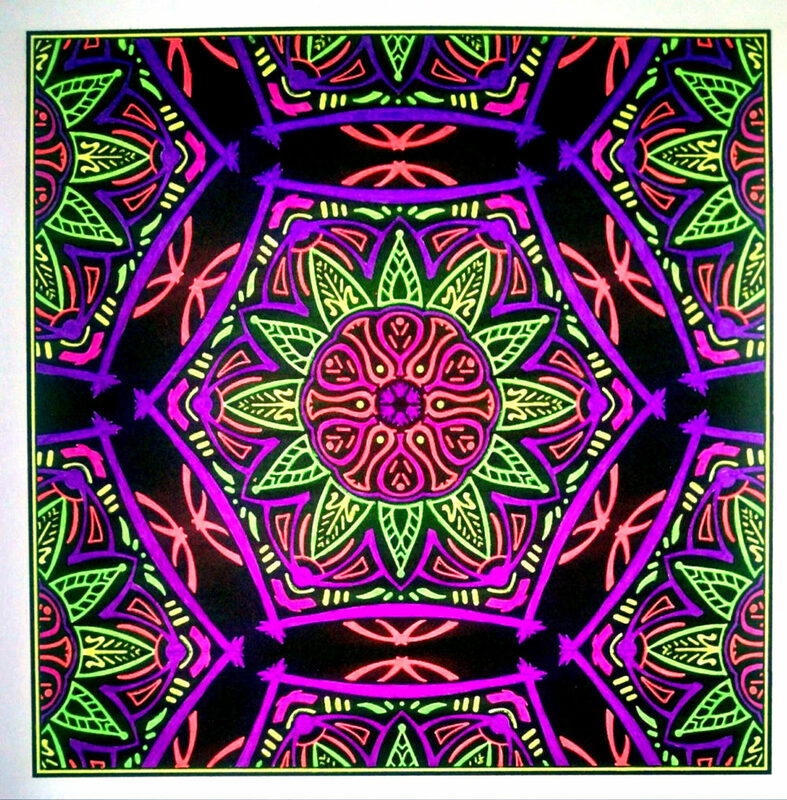 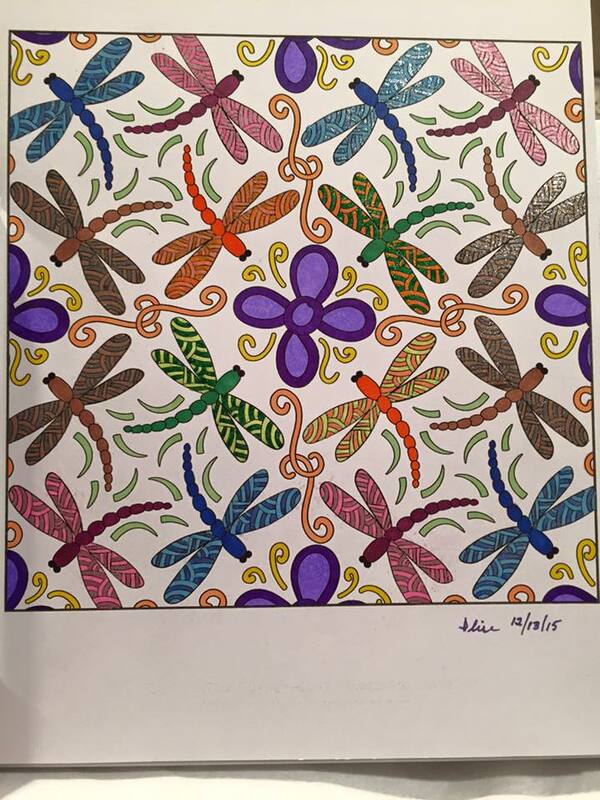 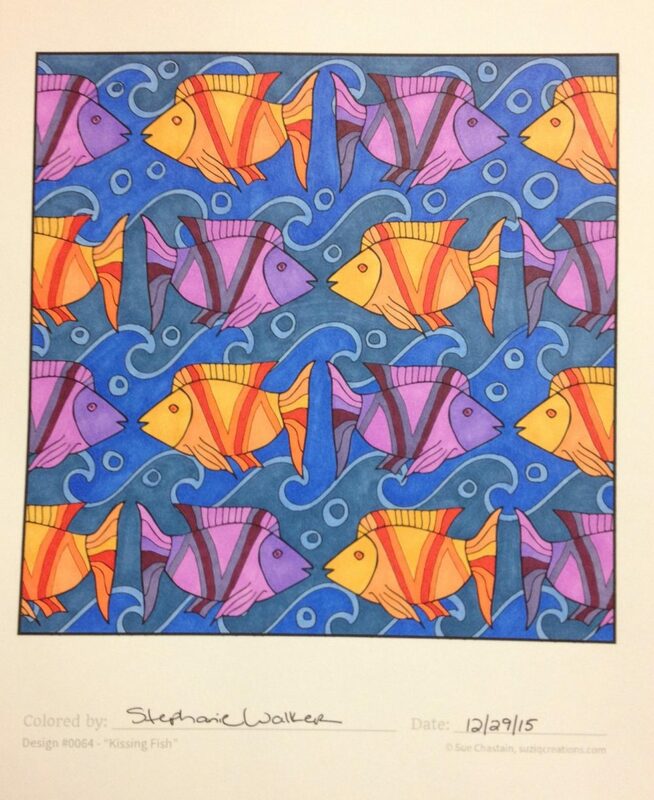 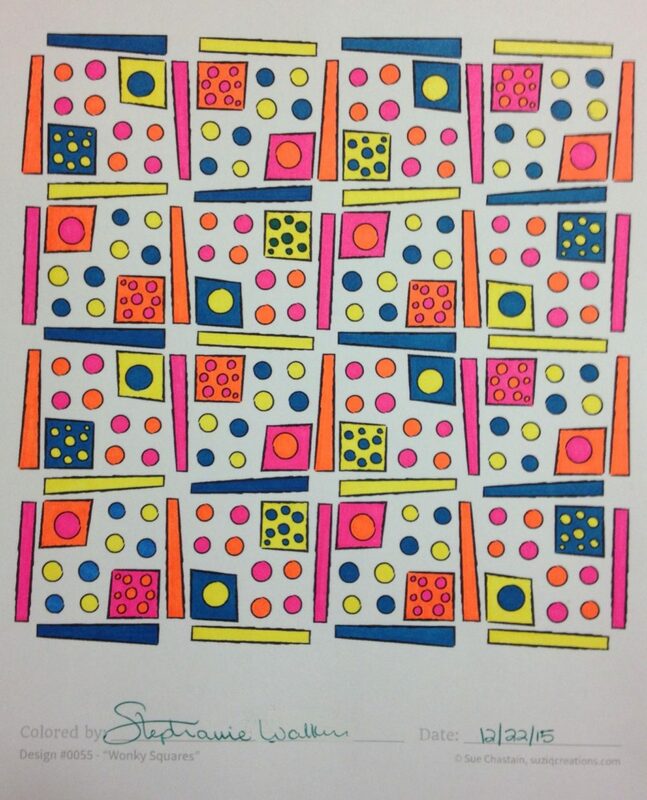 Shut out the world and unwind with these hand-drawn, repeating pattern coloring designs. 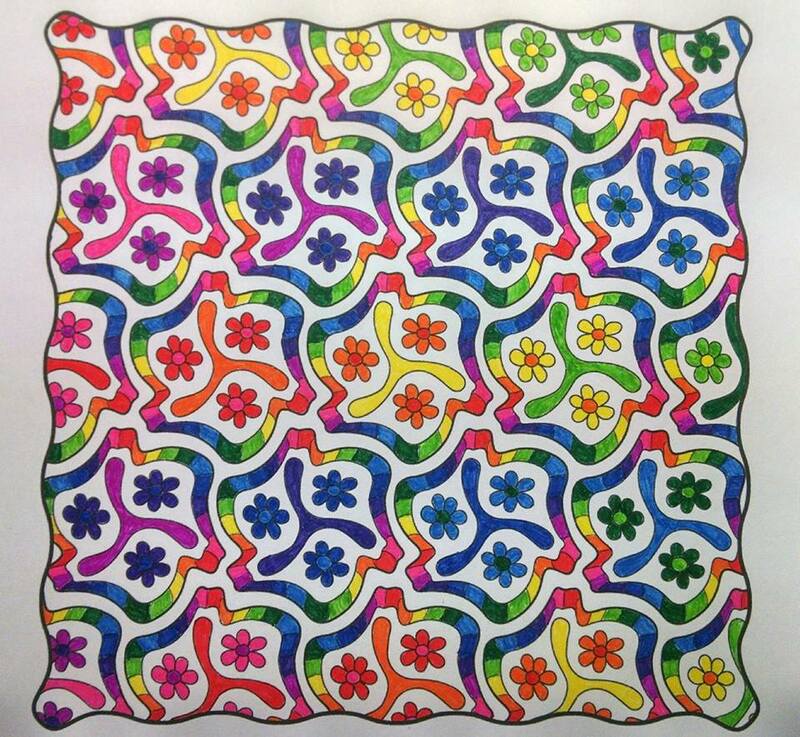 Rejuvenate yourself with a restful activity that soothes your soul, sharpens your mind, refocuses your attention, and sparks your imagination. 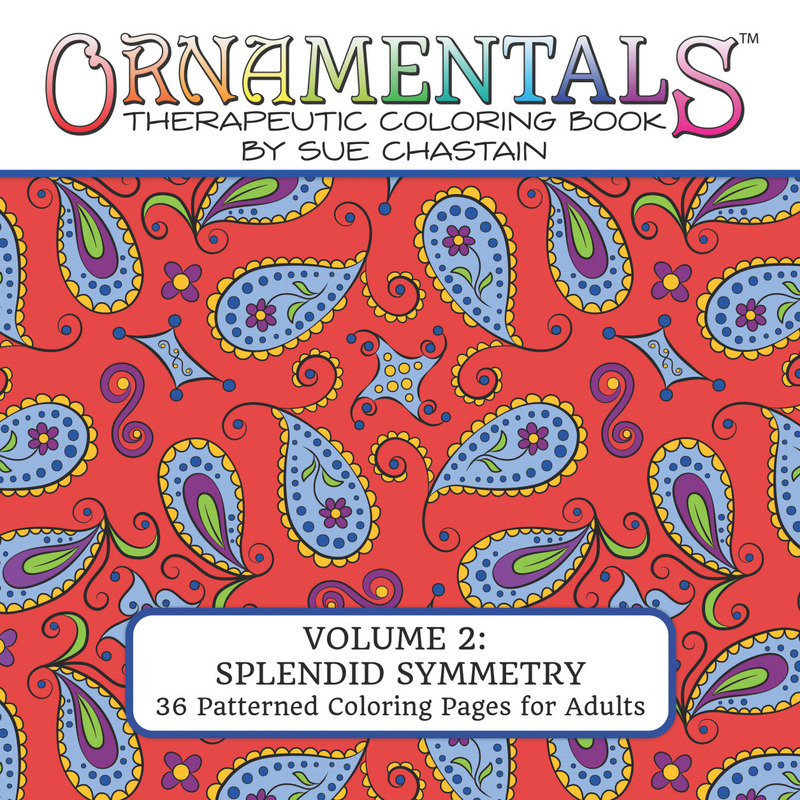 OrnaMENTALs Splendid Symmetry contains 36 original playful pattern designs. 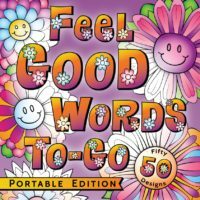 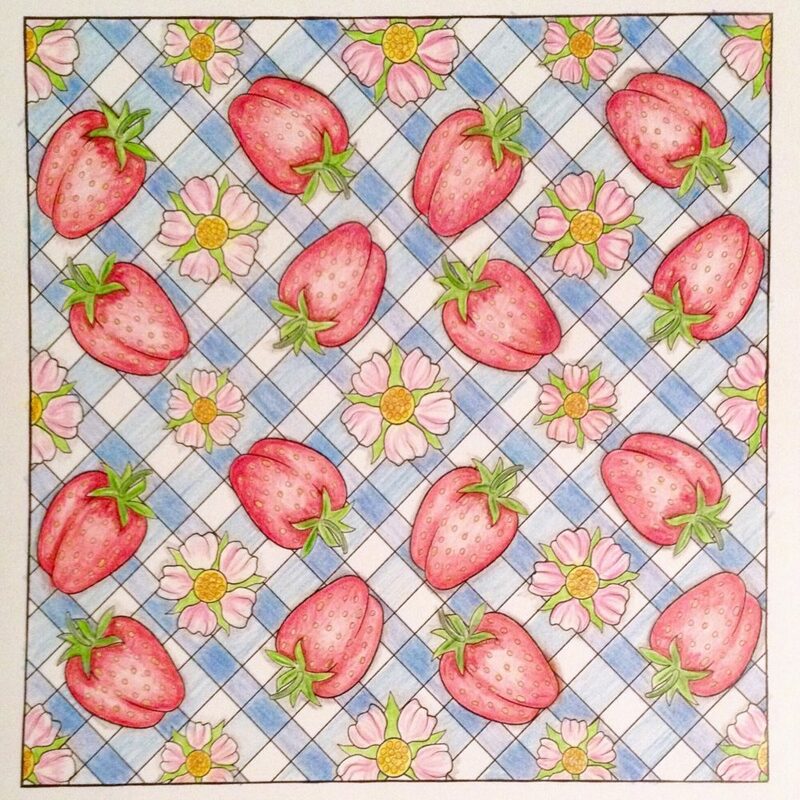 Framed patterns featuring flowers, paisley, strawberries, cute critters, and abstract motifs are included, with a mix of both complex and simpler pages to suit experienced colorists and beginners. 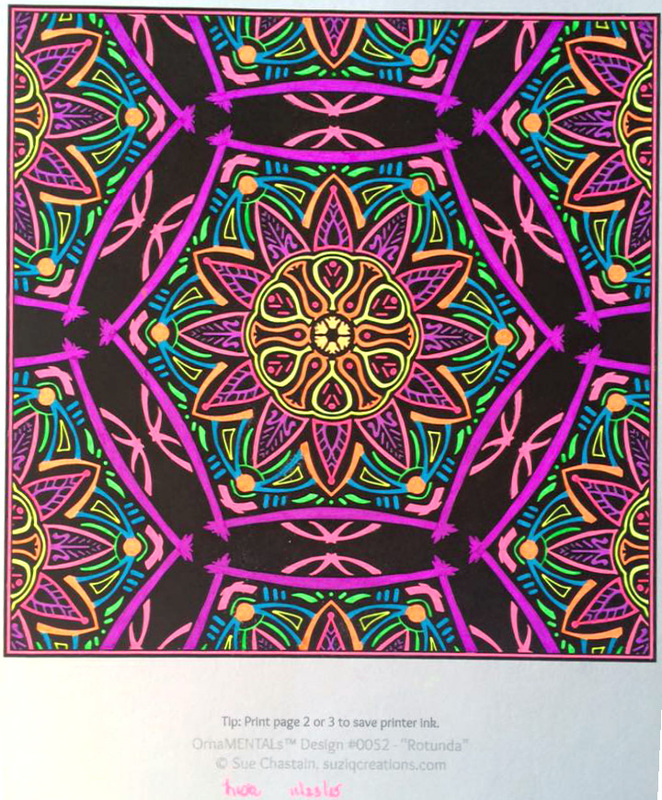 Images are printed on one side of the paper to allow the use of markers and other wet media. 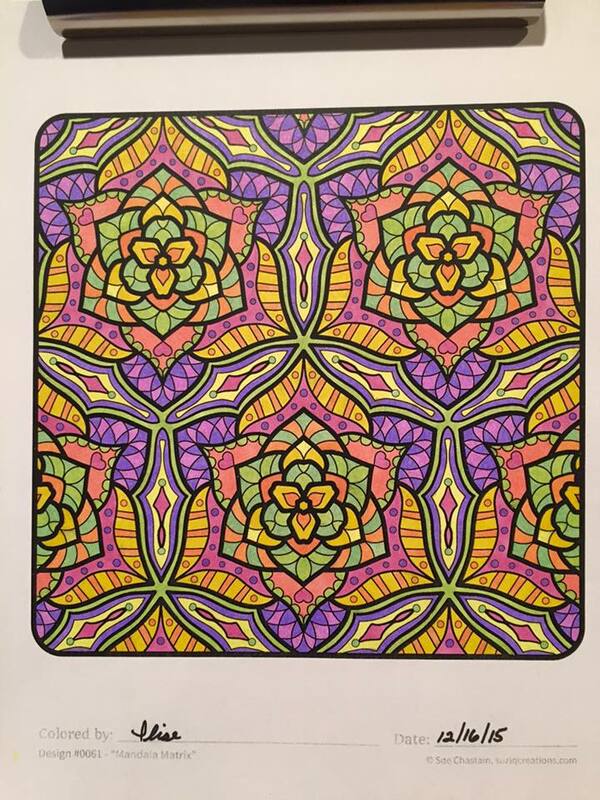 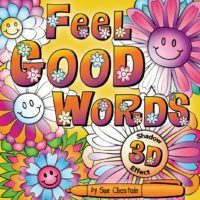 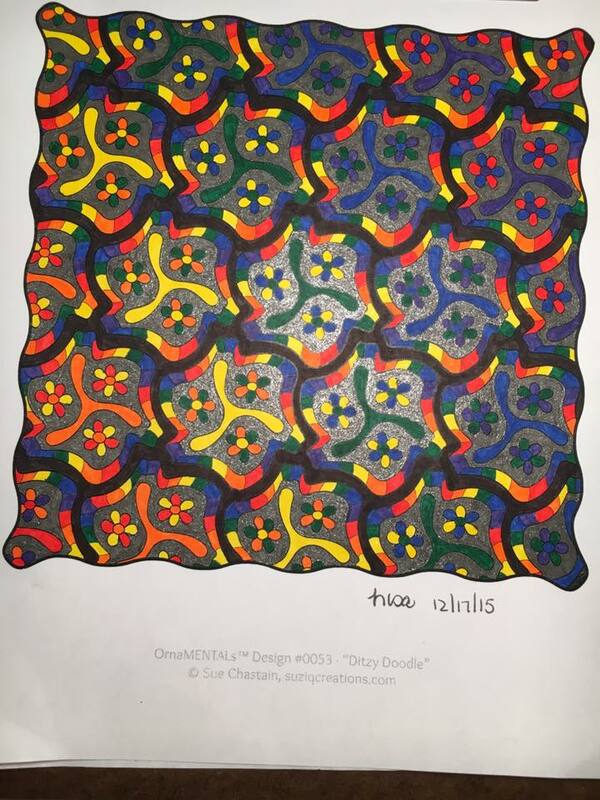 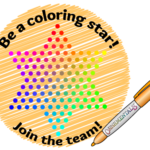 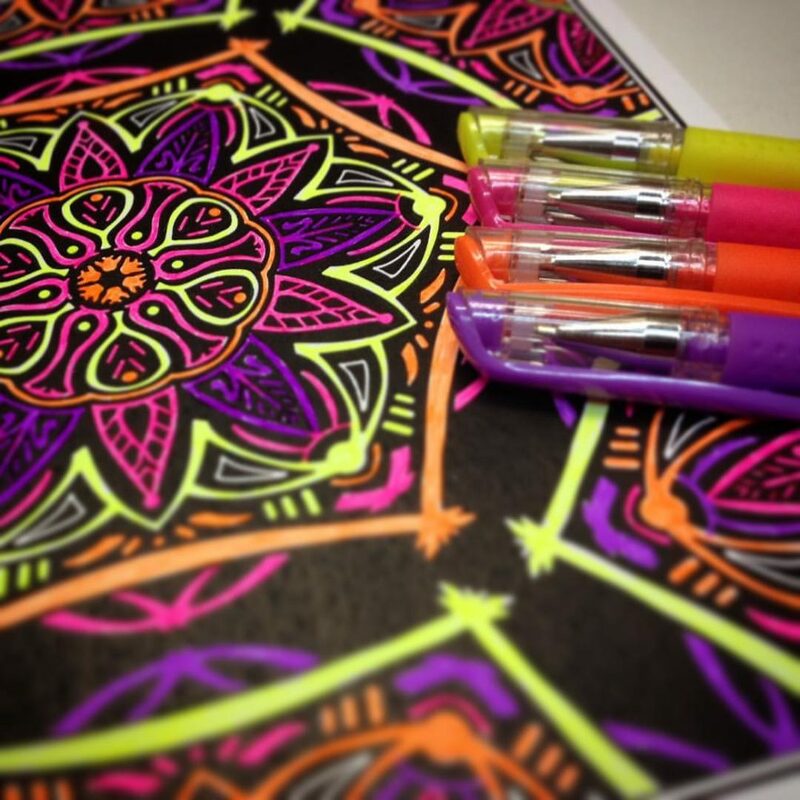 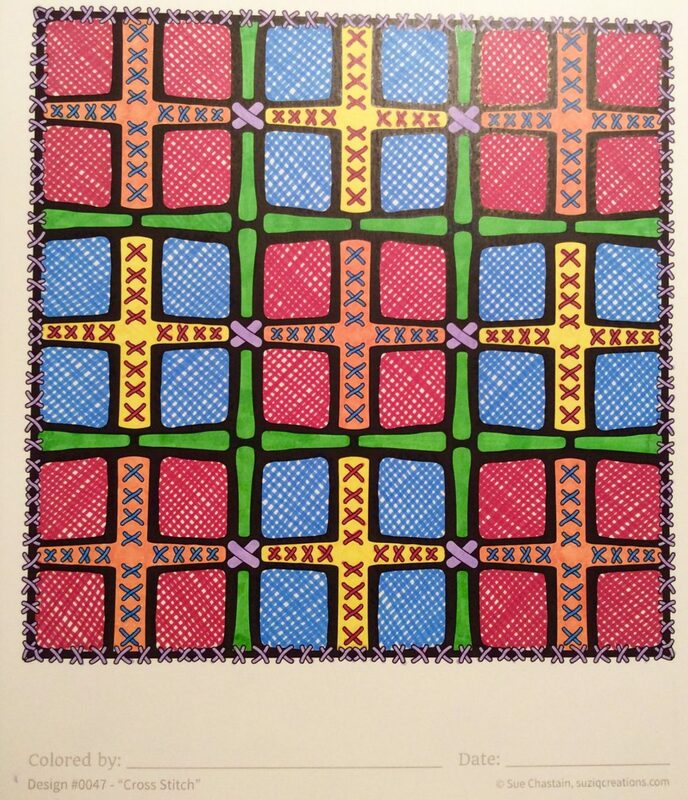 For adults who want to awaken their inner child, coloring is an inexpensive way to experience relaxation, personal expression, art therapy, and just good, simple fun! 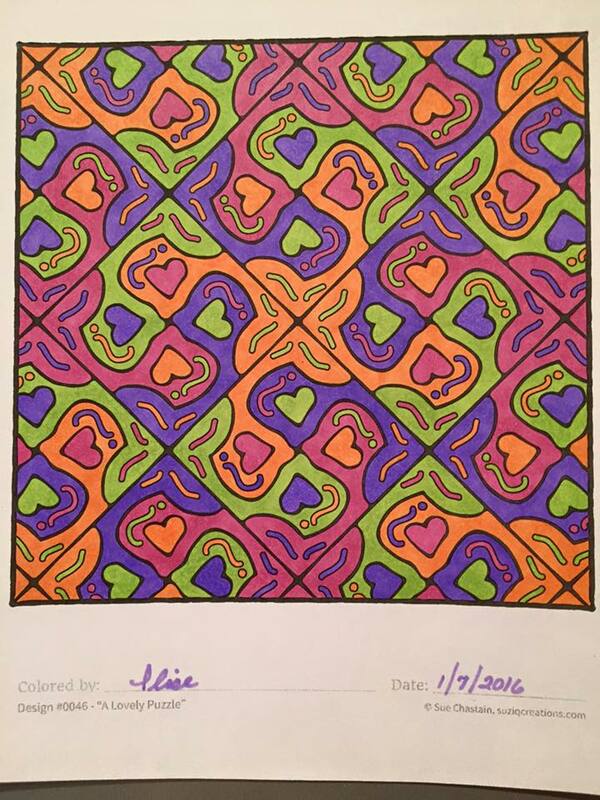 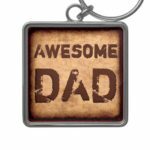 You can also share this quiet creative adventure with family and friends. 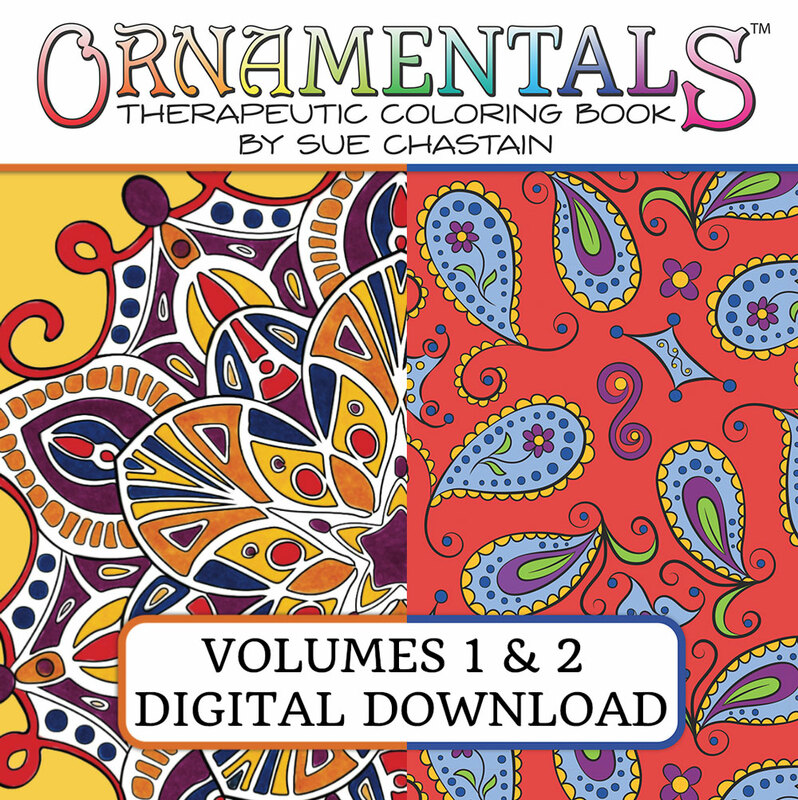 Countless hours of peaceful entertainment await you in this second volume of OrnaMENTALs. 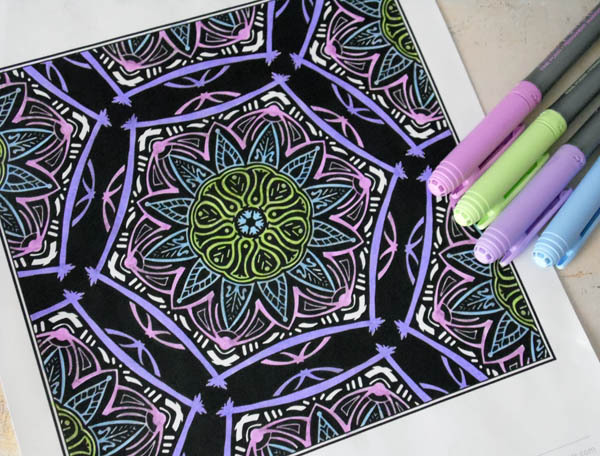 So jump in and transform these designs into beautiful art pieces to cheer your world–give them as gifts, decorate your walls, or incorporate them into cards and crafts. 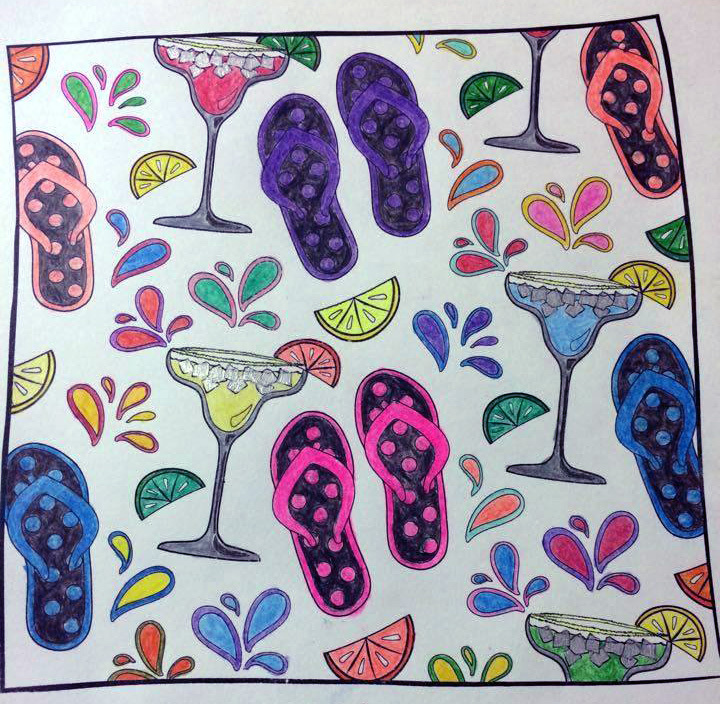 When not designing, drawing, or writing, Sue can usually be found enjoying her backyard oasis–soaking in the pool, listening to music, or reading–often all at the same time! 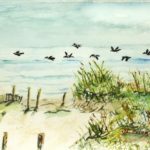 She resides in rural Florida with her husband and two dogs. 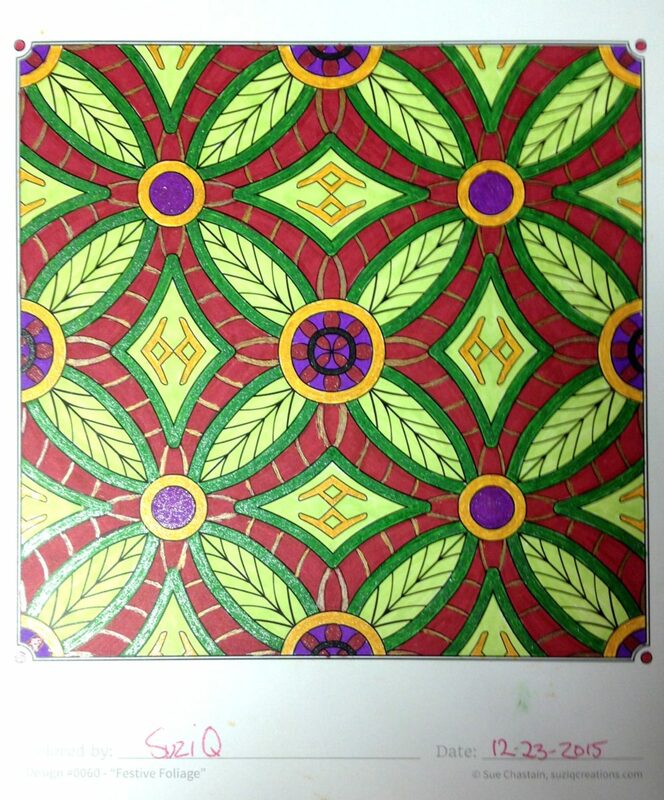 Her favorite color is red.